Seeing Nothing was a great experience for millions yesterday. The headlines from yesterday's eclipse were varied. These come from the UK Telegraph. Nasa Moon, NASA's official Twitter account about Earth's Moon, said: "HA HA HA I've blocked the Sun! Make way for the Moon. £SolarEclipse2017" while Hopkinsville Police in Kentucky, which saw solar enthusiasts descend on the town, tweeted "Please DO NOT call 911 just because your Wi-Fi service is not working." The headlines today include how to tell if there's been retinal damage after watching the solar eclipse. 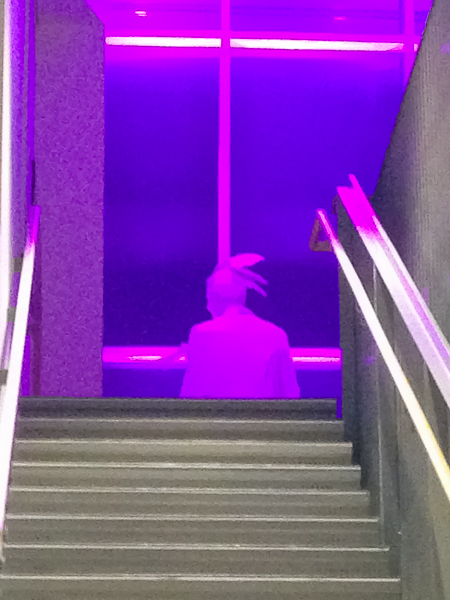 Today's picture was taken at the new Performing Arts Centre in St. Catharines - an art installation at the top of the stairs.